New York Comic Con is mere hours away, and already readers are sending us spy photos from inside. 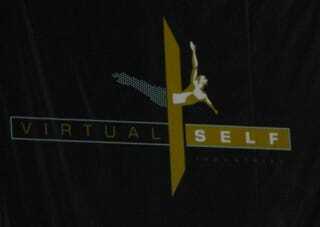 Check out this ad for the evil avatar company Virtual Self, from the new movie Surrogates. What, no ad for robo-wigs, for star Bruce Willis? Surrogates, which will be featured in a special Disney panel at NYCC, is set in the future where no one leaves their home. So instead of going out for a jug of milk yourself, you'd send out one of Virtual Self's life-sized robot creations. And it just so happens, your lovely robotic avatar is the idealized version of yourself. Willis plays a cop who has to leave his house for the first time in years, to investigate the serial murder of Avatars. Update: Check out The Surrogates viral site for Virtual Self Industries at Choose Your Surrogate (thanks for the tip Slashfilm).